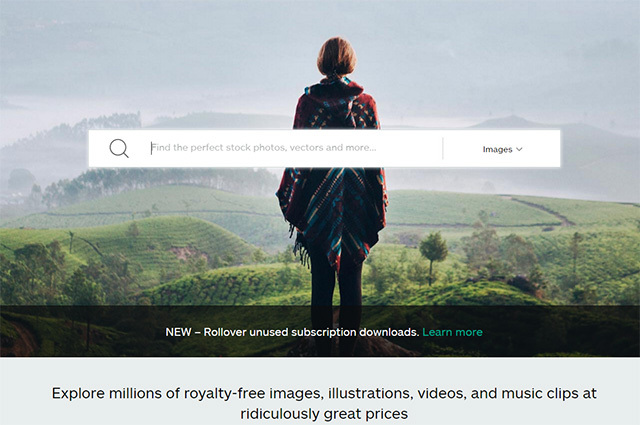 Are you in search of royalty-free stock images? If so, you need to check out iStock. IStockphoto is a great place to find stock photos, illustrations and videos. The company formerly known as iStockphoto has changed its name it simply “iStock.” Although the name is different, the quality they are known for has remained the same. If you are not familiar with iStock, keep reading to learn more about this great company. IStock is run by Getty, one of the biggest names (if not the biggest) in the stock photo industry. Therefore, it is a trusted service that can provide you with access to millions of stock photos and other images that can help you create fantastic projects. Who can be helped by iStock? Virtually everyone can find a use for stock images. The people who will find this service most helpful are those who are in search of photos, graphics, vectors, illustrations, videos, and other images. IStock has millions of these images from which its users can choose. Since there are so many available images, the chances of finding the perfect one for any type of project is great. Does iStock provide high-quality images? Absolutely. IStock not only has a high quantity of images, but they are also all of the highest quality as well. The images are all high-resolution and are ready to use as soon as they are downloaded. The images you can find on iStock are all royalty-free. This means that when you download an image, you are actually purchasing the license to use it. You have the right to use the image in any way you want to and in as many projects as you desire. The royalty-free license has no expiration date, and you will never owe royalty fees to the person who created the image. Can I use the image for large quantities of the same item? This area is one where there are some limitations. A standard license allows you to reproduce an image for a single use up to 499,999 times. But, once you hit 500,000 you must get an extended license. An extended license is ideal if you want to make promotional items such as t-shirts, coffee mugs, or anything else you want to distribute to large amounts of people as a form of advertising. There are lots of services that offer access to downloadable stock images. But, iStock prices is a cut above the rest. They have images that you will not find anywhere else. They also keep their finger on the pulse of the industry. They know what trends are important and work hard to inform their contributors to make sure the content they get is what their customers want and need. IStock also wants to make the process as smooth as possible for their customers, so they accept many different forms of payment including major credit cards, PayPal, and money orders or checks that are drawn on US or Canadian banks. Paying for your images is a snap. If you are an infrequent user of stock images, you can choose the pay as you go option and purchase credits that can be used whenever you need to download an image or two. If you use stock images on a regular basis, you can purchase a monthly subscription and save on the overall cost of your downloads. You have to try iStock to believe how truly easy it is to search for an image. Images are all searchable by entering keywords, file type, contributor, collection, size, shape, complexity, details, additional filters, color, file number and light box. With so many options, it is easy to pick the one that works best for you and quickly find the image that will work perfectly in your project. 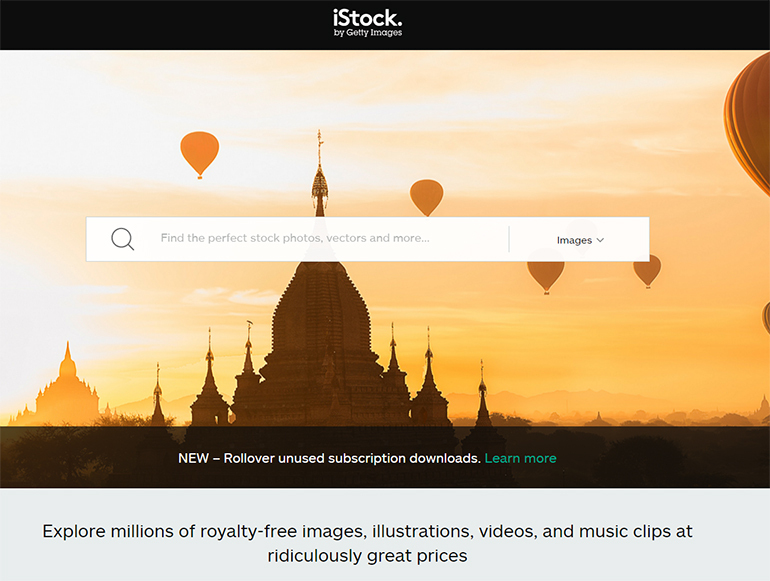 IStock does not stop at having millions of choices and being easy to use. IStock has some additional features that keep them ahead of their competitors. For example, they have free weekly photos, illustrations, video clips, and audio clips. There is also a signature artist of the month. IStock takes the time to follow one of their contributing artists each month and provides users with the story of the artist. IStock is also multilingual. It supports English and many other languages including German, Dutch, Korean, French, Spanish, Japanese, Polish, Italian, Portuguese, and Russian. So, regardless of the language you are most comfortable speaking, iStock will be easy for you to use. As you can see, there is a multitude of reasons to choose iStock for your stock image needs. Check out iStock today so you can experience how truly excellent it is for finding stock photos, illustrations, videos and other images. James has been working in microstock industry for more than 8 years. How Not to Succeed in Business: Don’t Redeem Your DepositPhotos Coupon! © 2019 Stock Photo Spot. All rights reserved.